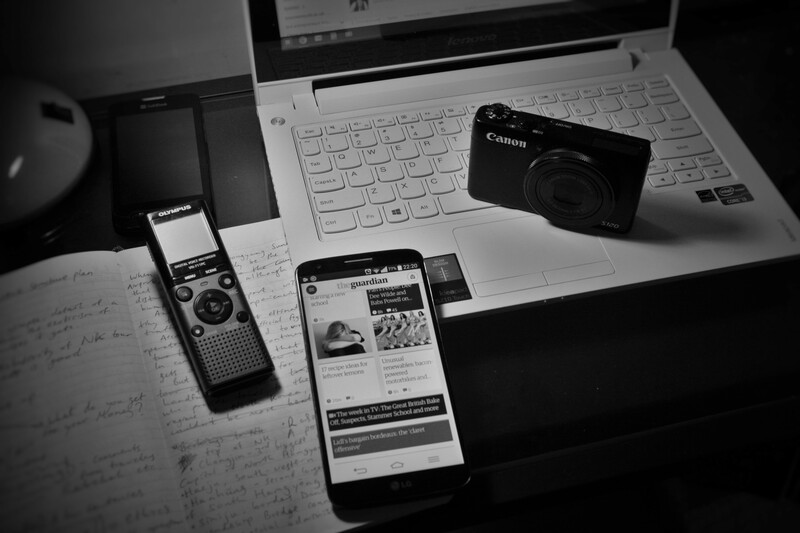 The Note 4 has a large screen, a top-of-the-line processor to handle multitasking, a very capable camera, and, best of all, a multifunctional stylus with features journalists may find very handy. The phone has two-day battery life and there is the option of expandable storage with a MicroSD card slot. The larger screen, which is one of the sharpest and most vivid on the market, is an important feature. Web browsing, having multiple windows open (which the phone allows you to move around and resize), and typing out emails or memos, are all made easier when there’s extra screen space. The downside to this is the phone really has to be handled with two hands in use. But few other phones has the ability to act as a very portable computer as the Note 4 does. The Olympus dictaphone was bought in England after I lost my previous Olympus. It cost £65. It picks up voices very well – defined from background noise. It has a little built-in stand that raises it from a surface, and the ability to slow down audio which comes in handy when transcribing interviews. There are fancier voice recorders out there (Sony do nice expensive ones) but unless you’re looking to record broadcast quality interviews, the Olympus is a lovely piece of kit. The LG G2 smartphone is a new addition. My previous mobile phone (pictured in the top left of the photo) was a £60 “Softbank” smartphone bought in Hong Kong two years ago. A budget smartphone from 2012 is pretty ancient technology now and was starting to seriously slow, so I bought the LG secondhand in Bangkok for the equivalent of £165. The processor inside it is the generation ahead of the Samsung Galaxy S4 but a step behind the latest S5. So it’s still blazingly quick, and the G2’s camera is a massive upgrade from the Softbank’s and the screen is also about 1,600 times better. I use smartphones to jot down memos and article ideas while on the move; as a kind of scanner (with the camera) and as a phone obvs. The laptop I picked up in Hong Kong & I wrote about it previously. The Canon S120 camera was bought in Beijing earlier this year for the equivalent of £256. It works very well. It powers on quickly, focuses quickly and the best thing about it is that it’s incredibly small and unobtrusive. It also takes exceedingly good video. Photos I’ve taken using it have been published by The Telegraph and Aljazeera who paid me $450 for a photo gallery of shots I took in North Korea. I do also own a Canon 450D DSLR (which I used to take the above image) but I hardly use it these days. I didn’t take it to North Korea for instance because I knew it would be more conspicuous than a small compact camera and this would have a greater effect on the behavior of North Korean civilians, and because I knew that fiddling around with the DSLR would cause me to miss shots when the Canon S120 would make me a much more agile photographer. I’m pretty happy with the equipment I have. The total cost is much less than a grand. Sure it’d be nice to have a Surface Pro 3 which has much better battery life than my current laptop (I like to work in cafes). And perhaps an iPad – for magazine subscriptions – and as a backup browser screen for reference purposes. But they are not essential. Upgrades would be a Samsung Galaxy Note 3: I love the stylus that comes with it; its features are very useful for a freelance journalist. And a Canon EOS M which is a camera slightly larger than the Canon S120 but with picture quality equal to DSLRs. But I do not like to upgrade quickly. It’s a waste of money that could be spent on travel or experiences or stories. And in the next couple years everything will be that much better again. So don’t obsess about your kit, think instead about how to make the most of it. In Beijing, from where I freelance, I often like to sit in cafes to work. The coffee is a good accompaniment and there’s a better chance of random interactions, which I like. To go to these cafes, I used to lug around a heavy, chunky laptop that I’d had since 2009. The £400 Novatech laptop (a British brand and a university gift) powered me through uni, plus a year and a half in Beijing. It is small, light and very portable, about the same size as an 11-inch Macbook Air. It has an Intel Core i3 processor (which is fine for my needs), a touchscreen, runs Windows 8, and it was a bargain when I bought it in Hong Kong in January for around £318. The laptop has one major flaw however and that is a very short battery life. It lasts about three hours meaning I never can forget to bring its battery charger if I bring it out, which is an obstacle to the pick-up-anywhere-and-write mentality I value. But, it does have a terrific keyboard. The little thing is great to write on, and how it feels typing out each letter and getting into a groove is a criterion on which I place unequal importance. Writing for a living is an inestimable joy and anything I can do to accentuate that I will. Therefore, this list will place a disproportionate weight on the typing experience. I am reluctant to list this laptop. It’s easy to move around of course, being so thin and light. The trackpad is the best you can find. The battery life with 13+ hours is also class leading, so you don’t need to look for power sockets in a cafe every time, which is what I need to do. For clearer text the screen resolution needs to be bumped up – the Macbook Pro’s retina screen is a clear improvement – which helps the eyes when you do as much reading as I do. But this is not the worst thing. No, the Macbook Air, and someone needs to say this, has perhaps the horriblest, most horrendous keyboard to ever grace such a costly machine. 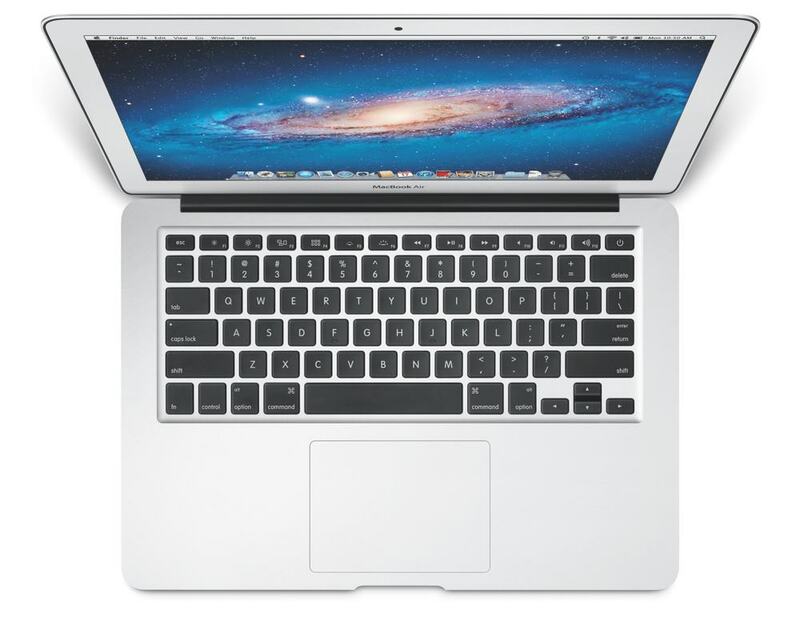 The Macbook Pro is better, but its slimmer brother has keys that are flat, squelchy and unresponsive. It’s like typing on a potato. I would not say no if some kind stranger pressed one into my hands, but I would find no additional satisfaction from writing on a Macbook Air. Budget alternative: Get an iPad and a third-party keyboard dock. Download the Microsoft Word app for further writing productivity, or alternatively just use a free writing app and send it to yourself via email. The iPad Air also has great battery life and doubles up as a fantastic way to subscribe to magazines etc, especially when you’re freelancing from overseas. Most fun? What does that mean? It’s not really a metric tech sites can measure in their laptop reviews. And yet, I think the Surface Pro, which is a laptop in tablet form, is quite a fun little computer. It’s thinner than a Macbook Air and lighter. In order to do any serious work, you’ll have to buy the separately sold keyboard attachment. They come in two types. One is touch responsive, meaning you’ll have to hammer on a flat piece of plastic with no buttons, or the other one which does have buttons. The latter keyboard is not great – it’s somewhat flimsy but I think it works fine enough, almost a novelty pleasure. I like the Surface Pro because it’s a sleek tablet, with all the power of a laptop, and you can put it together like a writing transformer. Just taking it out of a bag, setting it up and magnetically attaching its keyboard is a cool experience. I realize how geeky and boyish that sounds. Budget alternative: The Asus Transformer Book T100. A tablet that comes with a keyboard dock for a very cheap price. It runs Windows 8.1, comes with Microsoft Office installed and a processor that is not too bad. The keyboard dock is cramped and not that fun to use however. 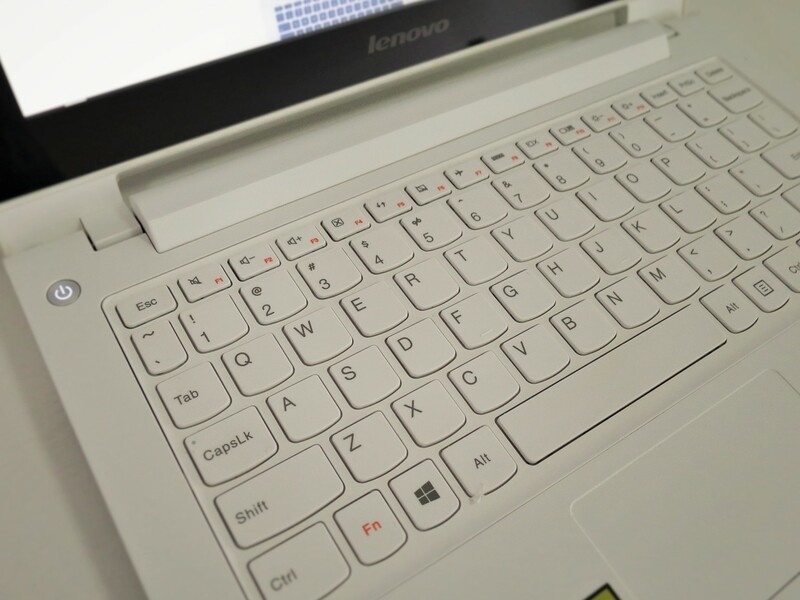 Lenovo is famous for the extra effort they put into keyboard design, and you’ll find superior keyboards across their range. 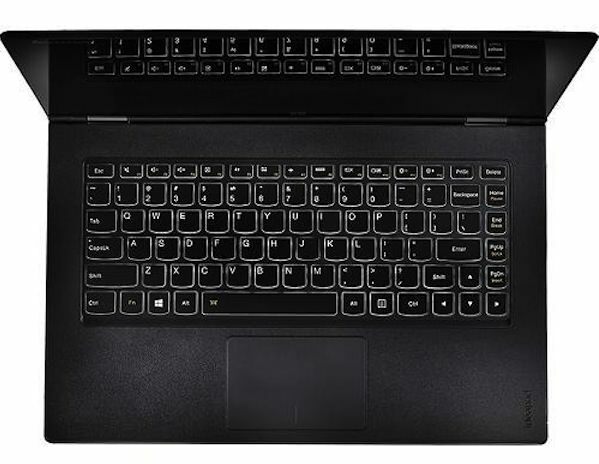 Their ThinkPad line is especially well known for keyboards that resemble desktop typing with high, raised keys that provide excellent tactile feedback. The Yoga 2 Pro is an ultrabook with an HD touchscreen, a processor more than able to handle photo and video editing, and a neat trick of being able to fold over its body to become a tablet. Typing is fast, smooth and groovy. Budget alternative: The Yoga 2 (without the “Pro” suffix) costs £400 to £700, depending what size you choose, otherwise the aforementioned Ideapad S210 Touch is a good bet although it is hard to find. 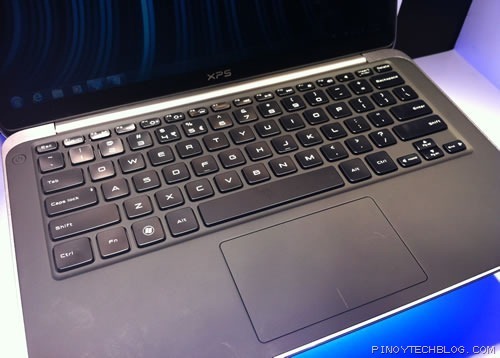 This is a premium ultrabook with top-end specs. It looks great, is as thin as a Macbook Air but looks sturdier and more robust. Although the battery life could be improved (only about 6 hours), it does feature a higher resolution screen than Macbook Airs, meaning reading text is easier on the eyes. This is an expensive machine, indeed the costliest on this list, but I’ll pay it to use that magnificent keyboard. The keys are wider and fatter, each click giving out robust feedback. The font of every letter demands to be hammered with vigour; powered by whisky and tobacco. Typing on this thing is addictive, as if every hit is a small smack of satisfaction. For us modern writers, we will never get into the mechanical groove of typing on a typewriter like Jack Kerouac or Ernest Hemingway or even Hunter S Thompson. For me this keyboard provides a semblance of the same thrill.